When Chris Kaukis needs to get to work, he walks out of his downtown Minneapolis condo, crosses the street and hops on a Route 645 bus. In less than 15 minutes, he’s arrived at his office in St. Louis Park’s West End, a growing commercial and residential area just a few miles west of downtown on Interstate 394. The simplicity of getting to and from work without a vehicle, he said, was the primary reason he decided to move from Austin, Texas, to downtown Minneapolis a year ago. “I wanted to get rid of my car and live in a major metropolitan downtown with a strong transportation system,” he said. Kaukis is among a growing number of customers taking transit to and from the West End and the surrounding area, which boasts nearly 12,000 jobs. Ridership in the West End area has increased by about a third since late 2016. The increase partly reflects a growing number of jobs and residences in the area. But service changes that took effect in mid-2017 have also provided a boost. The changes simplified some routes and introduced new all-day, limited stop service in the form of Route 645. 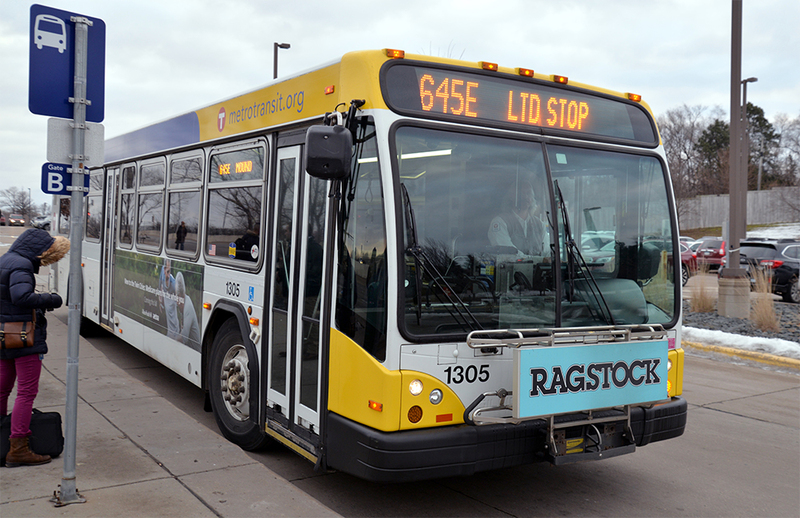 Route 645 trips run between downtown Minneapolis and Wayzata, serving the West End, the Louisiana Avenue Transit Center and Ridgedale. Select Route 645 trips go as far west as Mound. On a recent weekday morning trip, several Route 645 customers who boarded downtown said they regularly rode the bus to and from work. Like Kaukis, many did not own a vehicle or aspire to do so. Without transit, Rolfer said, she’d likely have to get a second job to buy a car and cover increased transportation costs. Customers traveling to jobs downtown are even more mindful of traffic and the cost of parking. St. Louis Park resident Bobby Pettit said riding Route 645 has allowed him and his wife to save money by sharing a vehicle. Another customer said she likely wouldn’t have taken a job downtown if not for the midday service provided on Route 645. Senior Planner Steve Mahowald led the service planning effort that resulted in Route 645 and other service changes to the West End. His charge to simplify Route 9 – which went from six to three branches – quickly led to something bigger, he said. The goal was to create more attractive and efficient service while continuing to serve existing riders. That was accomplished in part by putting Route 645 on local streets that had less frequent Route 9 branch service that has now been eliminated. Route 645 also provides more consistent service at a lower cost – as a limited stop route, customers pay local fares instead of express fares. The changes were made without increasing operating costs. Serving suburban employment centers like the West End can be a challenge. But the West End is uniquely situated for the kind of service improvements needed to build and sustain ridership, Mahowald said. “I don’t think there’s another area like this that’s this close to downtown and connected by a freeway,” he said. Learn more about service to St. Louis Park’s West End at metrotransit.org/west-end.